Today is the traditional birthday of Gambrinus, sometimes called King Gambrinus, considered to be a patron saint of beer, brewing and/or Belgian beer. Not an “official” saint, at least not in the catholic church, but a legendary figure. 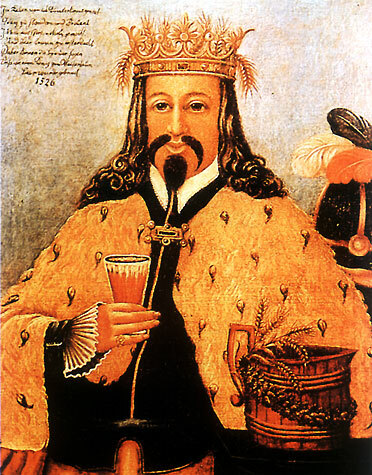 Regardless, join me in drinking a toast to King Gambrinus today. 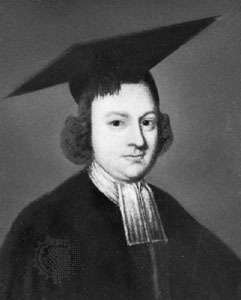 The origin of the character is most widely believed to be John the Fearless (1371–1419), who some also believe to be the inventor of hopped malt beer. However, other sources report that one of the cup-bearers in the court of Charlemagne (742–814) was also called Gambrinus. 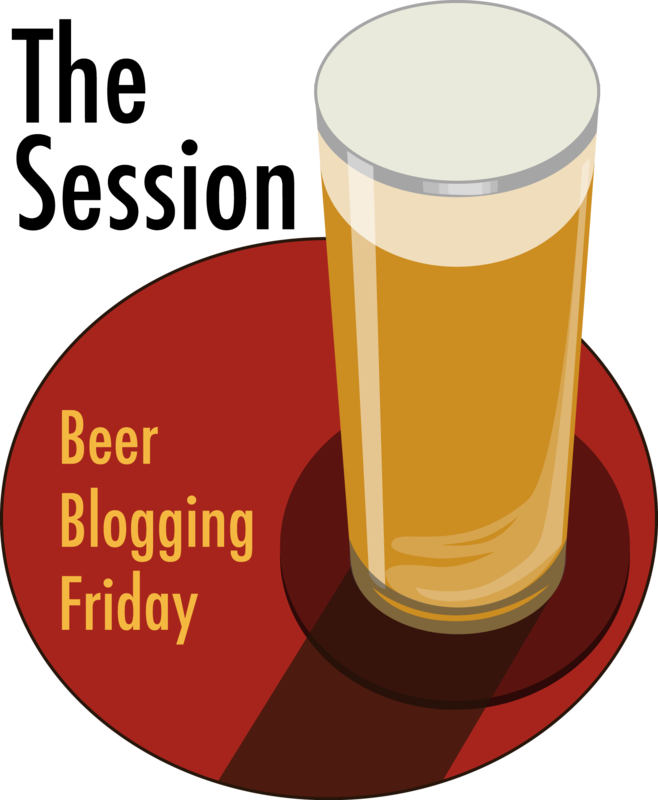 In 1543, the German poet Burkart Waldis wrote of Gambrinus, explaining that Gambrinus learned the art of brewing from Isis, the ancient Egyptian goddess of motherhood and fertility. 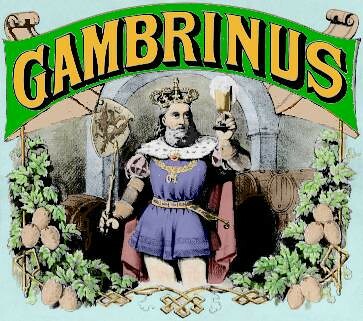 It is also possible that the original Gambrinus was Duke John I of Brabant (1254-1298), who was called Jan Primus. 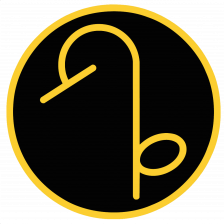 Other possible Latin etymologies of the name include cambarus (cellarer) and ganeae birrinus (one who drinks in a tavern). 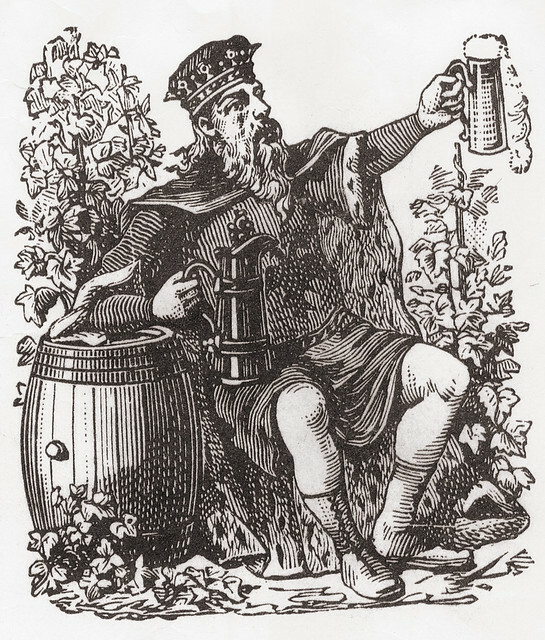 Plzeňský Prazdroj, brewer of the Gambrinus lager, endorses the explanation that the name is a corruption of Jan Primus (John the First), referring to John I, Duke of Brabant. 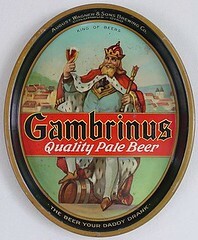 Alternatively, Gambrinus may be a corruption of the name Gambrivius. 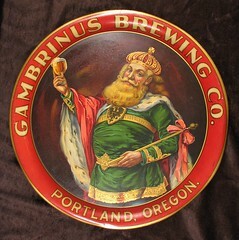 Although less likely, Gambrinus might also derive from camba, a word from the Celtic language family that refers to a brewer’s pan. 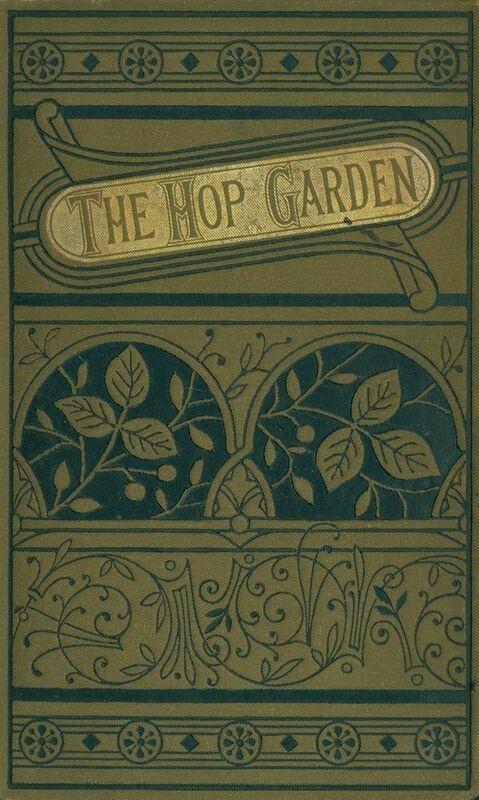 The beer website Froth N Hops has the fullest account of the story of King Gambrinus in one place, though it’s unclear what the source material is. Hopefully, he won’t mind my re-printing it here. 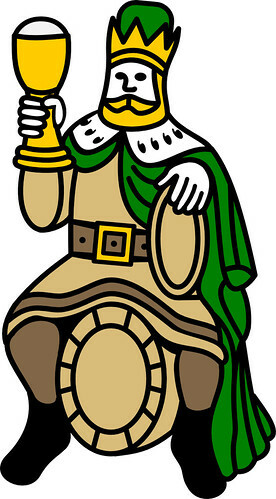 King Gambrinus, known as “the patron saint of beer,” has long been a universal symbol of beer and brewing. 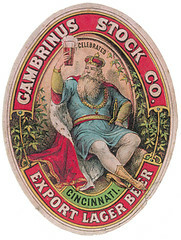 Particularly during the late nineteenth century, the image of Gambrinus was used by countless brewers to promote their products and remind consumers of the rich heritage of beer-making. 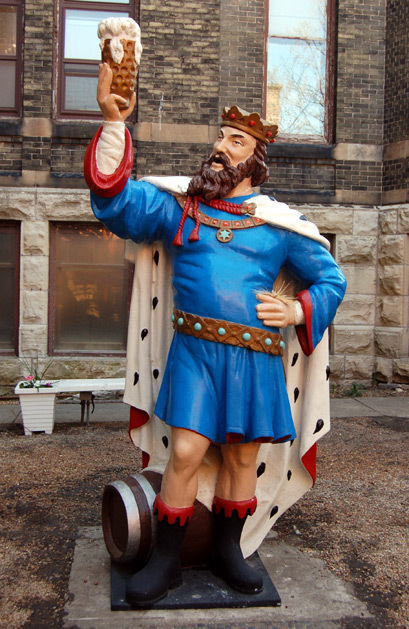 Many breweries were even adorned with life-size statues of the King. 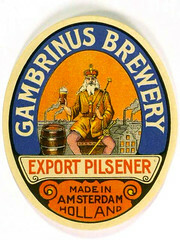 But who was Gambrinus? 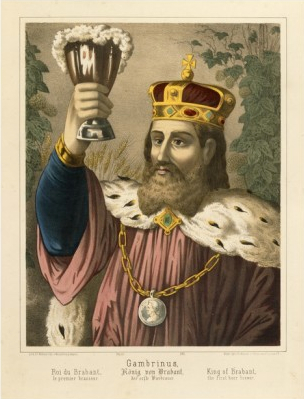 It is Gambrinus who brought beer to earth, and here is the legend of how this came to pass, and how he came to be King: Gambrinus was a poor apprentice in glass-making, hailing from a little town in the Flandres called Fresne sur l’Escaut. With his wonderful pink cheeks, blonde hair and blonde beard, he was the most beautiful boy in the town and had great romantic success with the town girls. 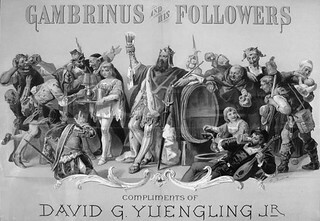 The townspeople all blamed Gambrinus for the commotion, since it was his poor playing that upset everyone. Gambrinus soon found himself arrested by the town officials and spent a full month in jail for the trouble he caused in the street and the noisy disturbance he had caused in the night. When Gambrinus was released from jail, he decided the only way he could ever make himself forget about Flandrine was to kill himself. He decided to hang himself, and headed out into the forest to set up a noose and platform. Gambrinus slid the noose over his neck, but just when he was about to step off the platform, he saw before him the devil himself. As is his custom, the devil proposed a deal to Gambrinus: if his power was not strong enough to make Flandrine love Gambrinus, the devil would oblige Gambrinus to forget Flandrine forever. This in exchange for Gambrinus’ soul in 30 years time. Gambrinus accepted the deal, and agreed to the devil’s terms. As soon as Gambrinus returned to town, he noticed an intense desire to gamble on games. Indeed, the devil meant to turn Gambrinus’ love for Flandrine into a passion for betting. Gambrinus bet on everything he could, not caring whether he won or not. But win he did, and soon Gambrinus found himself the owner of a small fortune. Although gambling had nearly eclipsed any thought of Flandrine, Gambrinus suddenly had an idea. Because he was as rich as a prince, perhaps Flandrine would agree to marry him as a noble. 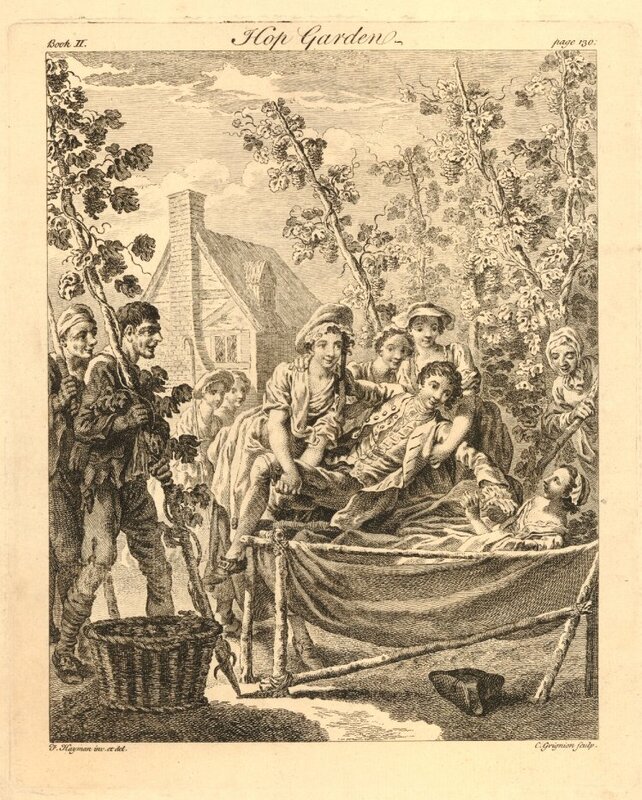 Gambrinus approached Flandrine for the second time and expressed his feelings to her. But Flandrine’s rejection was as swift and as ruthless as the first time: Gambrinus wasn’t a noble; he was born a boy, and would remain a boy for life. 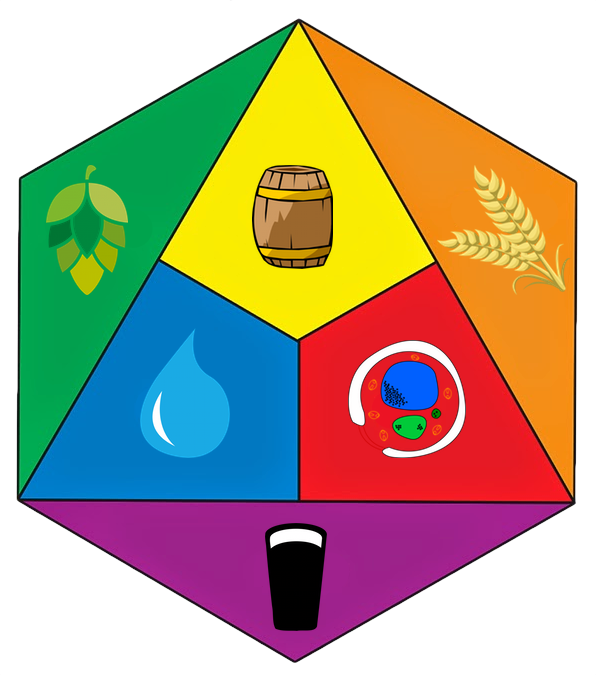 Once he arrived home, Gambrinus planted the precious seeds given to him by Belzebuth, and practiced making beer and playing chimes. 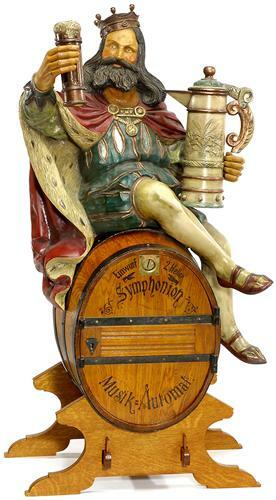 One morning, Gambrinus set up tables, chairs, barrels, and chimes on the main town square and invited all the townspeople to join him to sample his new drink called beer. The townspeople tasted the beer, which was a brown lager. 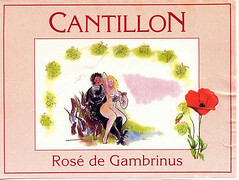 At first the people complained: “It is too bitter,” “It is too strong.” The people soon began laughing at Gambrinus and his stupid drink. Then Gambrinus began to play the irresistible chimes. The people all began dancing and could not stop. All the dancing made the people thirsty, which encouraged them to drink more beer. After an hour or so, the tired and woozy townspeople pleaded with Gambrinus to stop playing chimes. But Gambrinus kept playing for hours and hours. Gambrinus was satisfied that he had gotten his revenge on those who had wronged him. When Flandrine realized that Gambrinus would never come to her again, she came to talk to him. 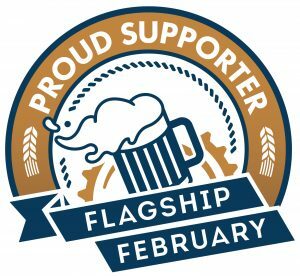 Gambrinus, however, more than a little inebriated, couldn’t recognize Flandrine, and just offered her something to drink; indeed, Gambrinus had forgotten about Flandrine. Gambrinus lived happily with his subjects for many years, until finally the devil returned. “Thirty years have passed since we made our deal,” said the devil. “Now you must follow me.” But when the devil turned around, Gambrinus began playing the chimes, and the devil began to dance. The devil begged Gambrinus to stop playing, but Gambrinus continued, and the devil could not stop dancing. Finally, the devil agreed to break his deal with Gambrinus, releasing Gambrinus from his end of the deal. Daß sie einen König zum Meister haben. 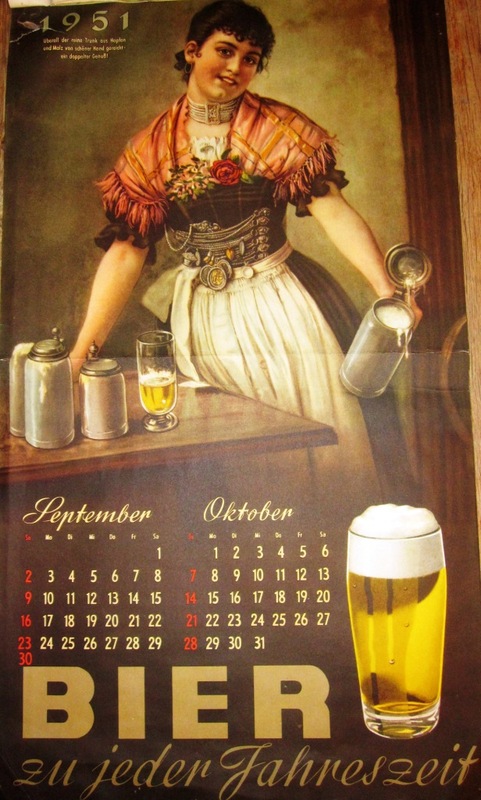 And was first at brewing beer. 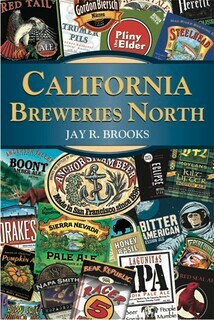 They have a king as master brewer.